Apparently station wagons fell from the good graces of the auto-buying public being replaced first with the minivan, then the SUV and now the crossover and hatchback. But for those who have not lost the love for the “family truckster” look no further than your closest luxury car dealer. Recently we spent a little time with the new TSX Sport Wagon (OK, they interjected a sexier adjective like Cadillac does) from Acura. 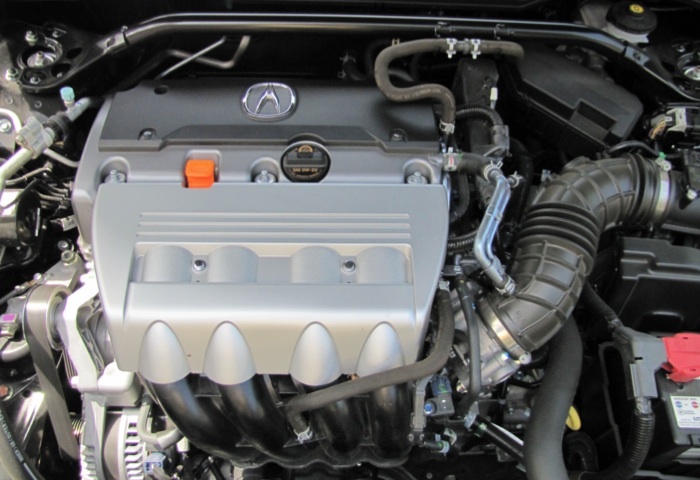 TSX here in the states is the equivalent of the Accord in Europe and many of you may remember Honda delivered a wagon for years on the Accord platform for North America. Just about everywhere I went in the Acura wagon we had folks asking about the vehicle and commenting on its good looks. This certainly is no Country Squire. And the sport wagon tagline is no advertising gimmick. Under the hood is the spirited iVTEC 2.4-liter four sporting 201hp via a smooth five-speed automatic gearbox with Sequential SportShift and yes, even steering wheel mounted shift paddles (on a wagon, yes). OK, so I probably wouldn’t enter the TSX in the next autocross but its sport bucket seats up front are very supportive and keep you in place should any driving competition make your “to do” list. 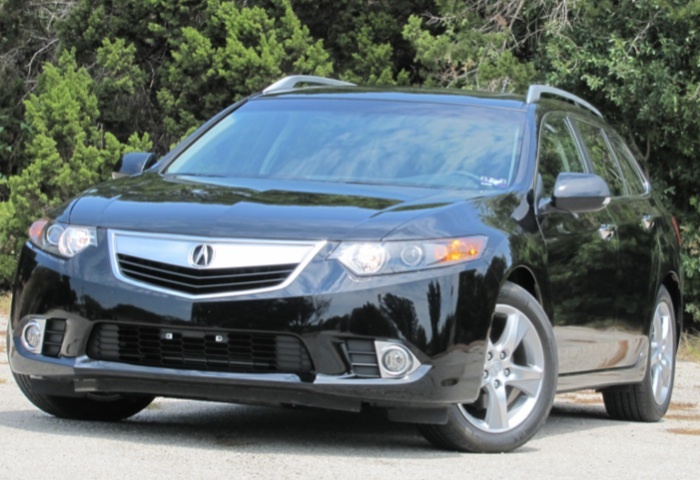 Vehicle stability assist and side curtain airbags add to the “safety cocoon” aspect of the TSX sport wagon and all of the latest technology available from Acura figured prominently in our Tech model tester including real-time traffic and weather information (including radar). Sweet. One little feature went a bit overboard for me but someone like my mother would greatly appreciate it – power tailgate. I appreciate the power liftgates in those big honkin’ SUVs I also test but in this wagon I personally never found it necessary to use but I do appreciate its availability for those with their arms full of groceries or kids (or both). 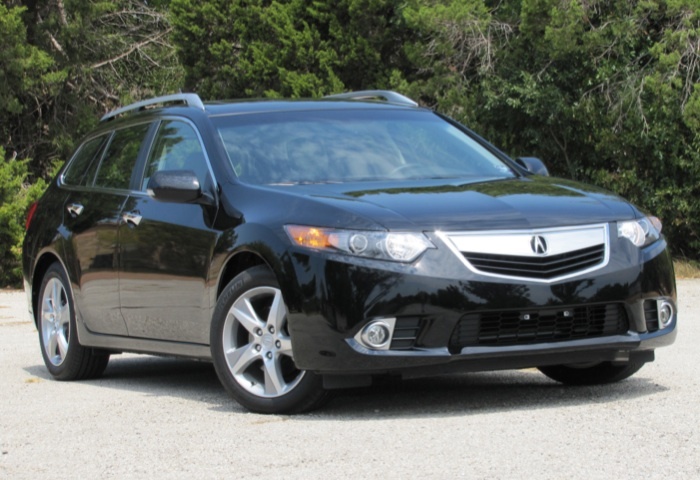 Pricing for the slick new wagon from Acura starts at $30,960 with the final sticker of our 2011 TSX Wagon Tech model coming in at just over 35 grand. 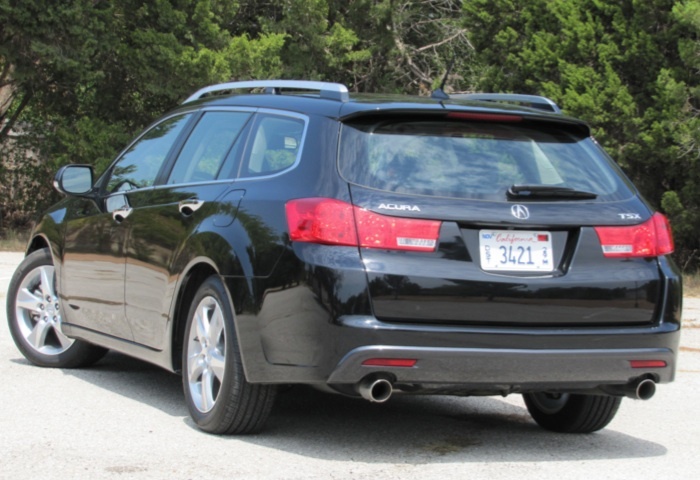 And for those not wanting to drive a “wagon” Acura does still offer its own sporthatchcrossthing in the ZDX. Previous Previous post: Fiat’s New 500c Cabrio: Now THAT’S Italian!